Author List: Michael Rubey, Sascha Brune, Christian Heine, Rhodri Davies, Simon Williams, and Dietmar Müller. 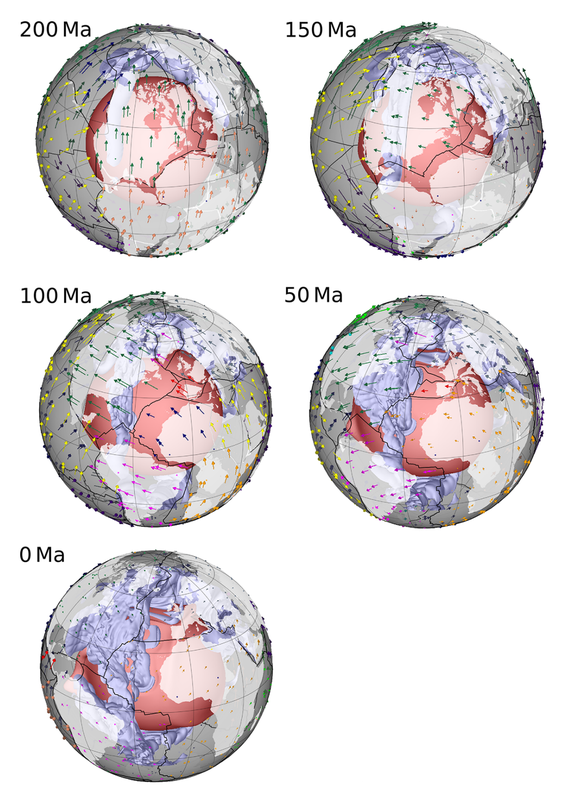 Citation: Rubey, M., Brune, S., Heine, C., Davies, D. R., Williams, S. E., and Müller, R. D.: Global patterns in Earth’s dynamic topography since the Jurassic: the role of subducted slabs, Solid Earth, 8, 899-919, https://doi.org/10.5194/se-8-899-2017, 2017. 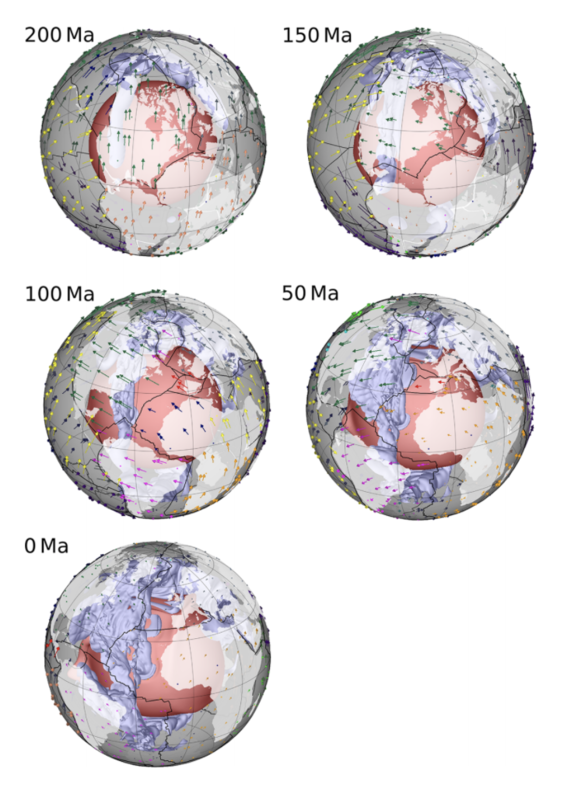 We evaluate the spatial and temporal evolution of Earth’s long-wavelength surface dynamic topography since the Jurassic using a series of high-resolution global mantle convection models. These models are Earth-like in terms of convective vigour, thermal structure, surface heat-flux and the geographic distribution of heterogeneity. The models generate a degree-2-dominated spectrum of dynamic topography with negative amplitudes above subducted slabs (i.e. circum-Pacific regions and southern Eurasia) and positive amplitudes elsewhere (i.e. Africa, north-western Eurasia and the central Pacific). Model predictions are compared with published observations and subsidence patterns from well data, both globally and for the Australian and southern African regions. We find that our models reproduce the long-wavelength component of these observations, although observed smaller-scale variations are not reproduced. We subsequently define geodynamic rules for how different surface tectonic settings are affected by mantle processes: (i) locations in the vicinity of a subduction zone show large negative dynamic topography amplitudes; (ii) regions far away from convergent margins feature long-term positive dynamic topography; and (iii) rapid variations in dynamic support occur along the margins of overriding plates (e.g. the western US) and at points located on a plate that rapidly approaches a subduction zone (e.g. India and the Arabia Peninsula). Our models provide a predictive quantitative framework linking mantle convection with plate tectonics and sedimentary basin evolution, thus improving our understanding of how subduction and mantle convection affect the spatio-temporal evolution of basin architecture.